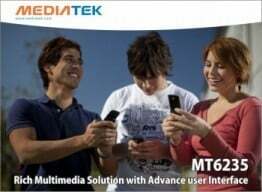 MediaTek India, the Indian subsidiary of the Taiwan based, MediaTek Inc. ,today said that it is working closely with all India based handset manufacturers and operators to provide low cost Android and 3G smartphone solutions and also aims to become the most reliable mobile chipset partner in Indian market. MediaTek believes that its latest single chipset solution- MT6253, and a customized Android platform for the India market that features many extremely popular applications will help sustain our leadership in the Indian market and the introduction of some of our new 3G solutions will help penetrate new segments. With more than 10 years serving in mobile phone industry, MediaTek believes the growth of handset market is promising in India . This growth would be driven by the fast growing mobile subscriber base, increasing penetration of low-cost handsets in India , growing rural telephony and the rising demand for affordable Value-Added-Services. According to a recent Gartner survey, major handset manufacturers view India as a very attractive investment because it is projected to have the most rapid growth of mobile users worldwide – 660 million mobile users in India by end of 2010. This number is expected to cross the one billion mark by 2014 according to global consultancy firm PwC. Rural India is expected to drive this growth in mobile adoption including 3G handsets. PwC also predicts the 3G subscriber base to grow to around 107 million by 2015 out of which 24% will be rural subscribers. Arun Gupta, Business Development Director MediaTek India stated ” India is a high potential market for our company. The consumers in semi urban and rural areas, who have been the traditional users of low cost handsets, now demand high end features at affordable rates. its time for telecomtalk to change its style ie theme…whats ur opinion???? Thanks dear !! we are already working on that, i hope new TT in avatar soon ! !